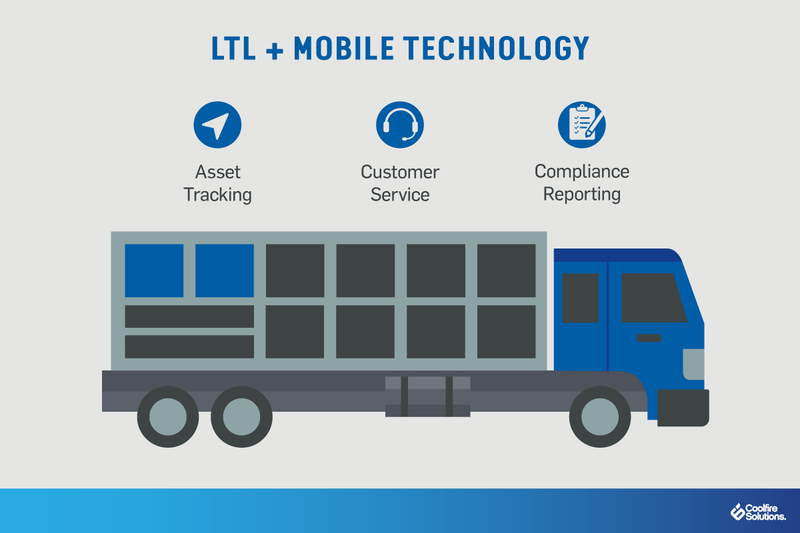 Strong mobile technology and data integration can help trucking businesses reap the full benefits of less than truckload (LTL). In the logistics business, companies will often opt for less than truckload (LTL), meaning shipments that do not take up an entire trailer. LTL shipments must weigh at least 150 lbs but can weigh no more than 10,000 lbs. They work by charging the shipper only for the portion of the trailer that their load occupies, with multiple shippers paying for their shares of a single truckload. For shippers, LTL has the clear advantage over full truckload (FTL or TL) of reduced costs — it’s presumed that the downside of this cost reduction is longer shipping time, since the truck will have to make multiple stops along the way to their destination in order to pick up and drop off other shipments. But savvy logistics companies can minimize this delay by implementing strong mobile communication technologies that enable situational awareness and real-time decision making. These solutions give dispatchers the ability to account for unforeseen delays, adjust the routing of their fleets, and ultimately improve the profitability of their organizations. Say a driver is taking an LTL shipment from San Francisco to Memphis that has 14 different palettes. If the driver drops off six palettes in Santa Fe, drops off two more in Austin, picks up two palettes in Tulsa, drops off six and picks up two in Memphis, how many palettes will he have left to drop off when he arrives in Memphis? That’s just the fundamental part of planning out a trip like this — dispatchers also have to account for delays related to traffic and weather, consider whether other drivers nearby might be able to make the same shipment faster, prepare for regular inspections, and more. All the planning in the world at the beginning of an LTL shipment can be thrown into chaos if strong communication tools aren’t in place to manage trips on the fly and quickly adjust in the event of unforeseen delays. Robust mobile and digital technologies are a given in most industries at this point, but logistics has tended to be a bit more traditional than others when it comes to tech adoption. Luckily, a host of tools are becoming more accessible to transportation enterprises to help them improve connectivity and bring new efficiencies to their operations. True situational awareness for shipping companies would require advanced asset tracking, something that is becoming more important to transportation companies racing to meet consumer demand for individual shipping. Strong asset tracking technology would not only make it possible for dispatchers to streamline and coordinate multiple LTL shipments, but would eliminate much of the clerical work involved in such shipments, as well. All the paperwork once associated with picking up and dropping off a package could be replaced by automated reports and workflows managed by a data integration platform — all the driver has to do is scan a barcode. While Electronic Logging Devices (ELDs) have earned their fair share of criticism, when used properly they have the potential to streamline the additional work associated with long shipments. These devices can make it easy for drivers to log their Hours of Service and for logistics companies to remain compliant with federal laws. 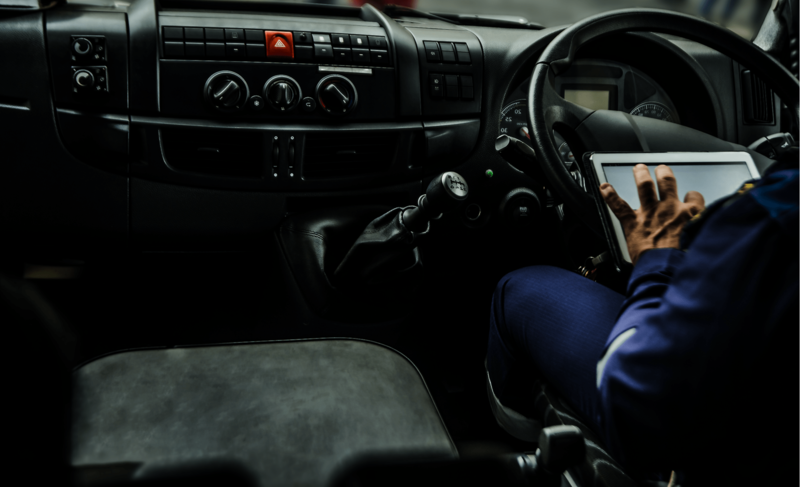 ELDs connect to a truck’s engine to record whether or not it’s running and make it easy for drivers to clock in and out. They’re also designed to send data in standardized formats that make it easy for transmission to government authorities, including Bluetooth and USB. Finally, mobile tech could be used to enable better customer service. In the past, drivers had to reference information from isolated software systems or a printed record to answer customer questions about delivery times. Presuming a company can connect and integrate its data systems, drivers will be able to pull up account and shipment details with just a few clicks on an iPad to answer a customer’s questions. Because LTL is flexible and dynamic, it’s likely only going to become a more popular option as eCommerce continues to reshape the logistics business. Mobile technologies are needed to maximize this flexibility — however, backend data integration will be required to ensure the technology works as we’ve outlined here. Critical to the full digitization of LTL shipping will be data integration platforms that offer actionable insights to managers and need-to-know information to employees at the edge. By connecting all the various systems that hold records of truck schedules, compliance reporting, truck maintenance, and more, logistics professionals could create a Common Operational Picture of their distribution networks. They could also consistently deliver the right information to the right employees at the right time. All this could give logistics companies the tools they need to maintain a competitive edge in an era where the rules of logistics are continuously rewritten by disruptive digital technologies.